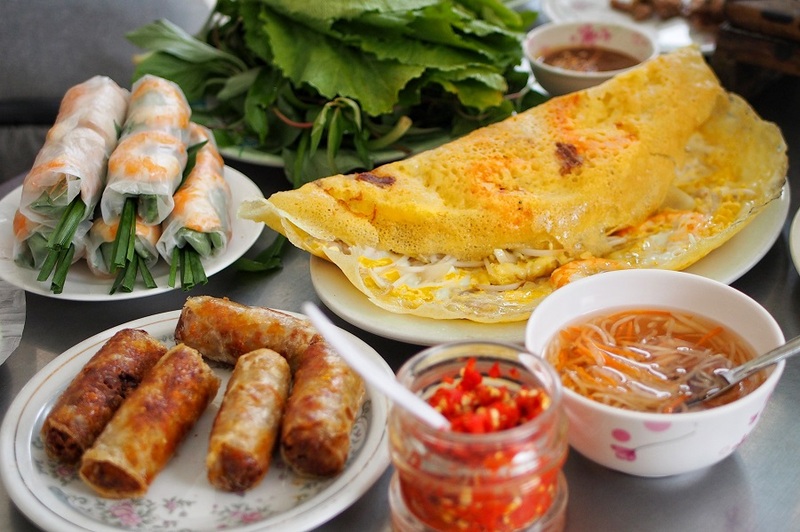 [Ho Chi Minh] When it comes to Vietnamese food, my knowledge has been quite limited to Banh Mi (Vietnamese Baguette) and Pho (Beef Noodle Soup). 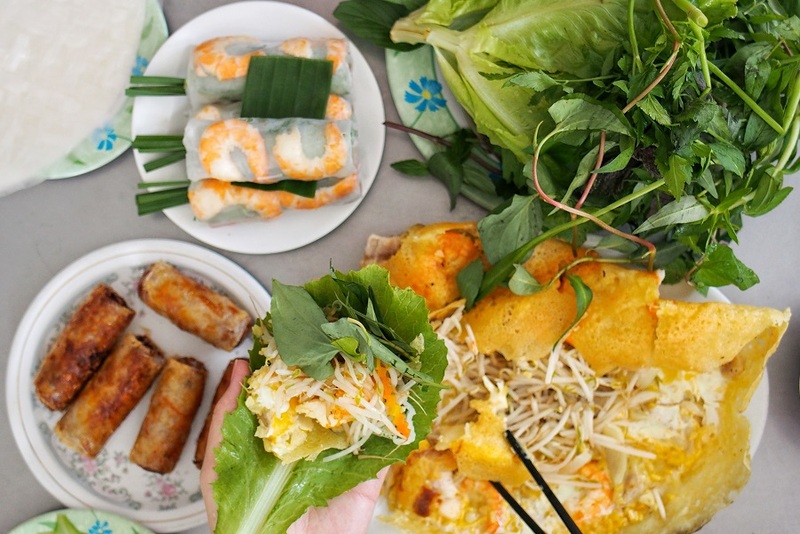 Hence, it thrills me to be able to gain more insights about local Vietnamese cuisine during my recent trip to Ho Chi Minh. 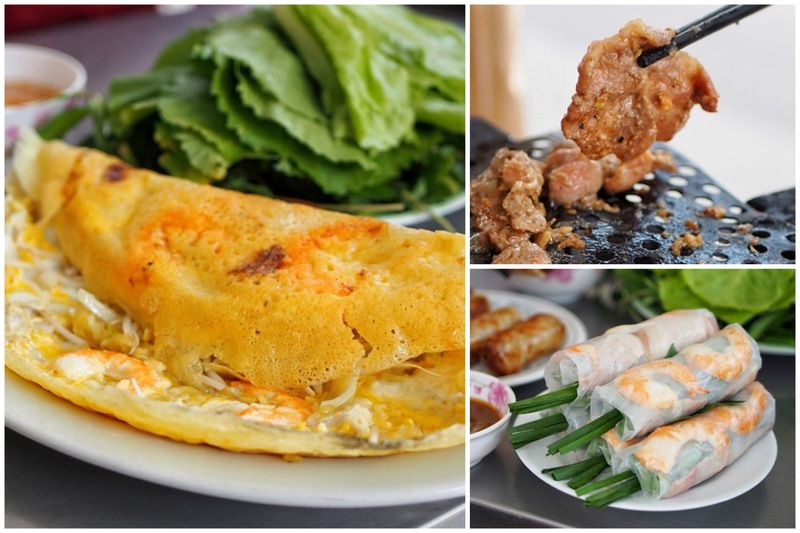 Banh Xeo 46A, otherwise known as Banh Xeo Dinh Cong Trang (or literally the Banh Xeo store located on Dinh Cong Trang Street), specializes in serving huge Vietnamese sizzling crepe cake that comes with pork belly, shrimps and bean sprouts. 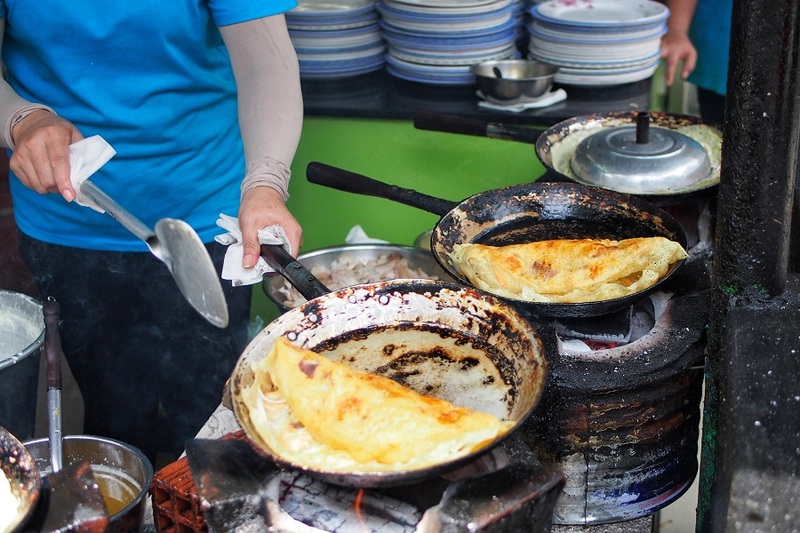 The crepe looked like a huge “mee jiam kueh” (pancake) which came with generous amount of savoury ingredients. 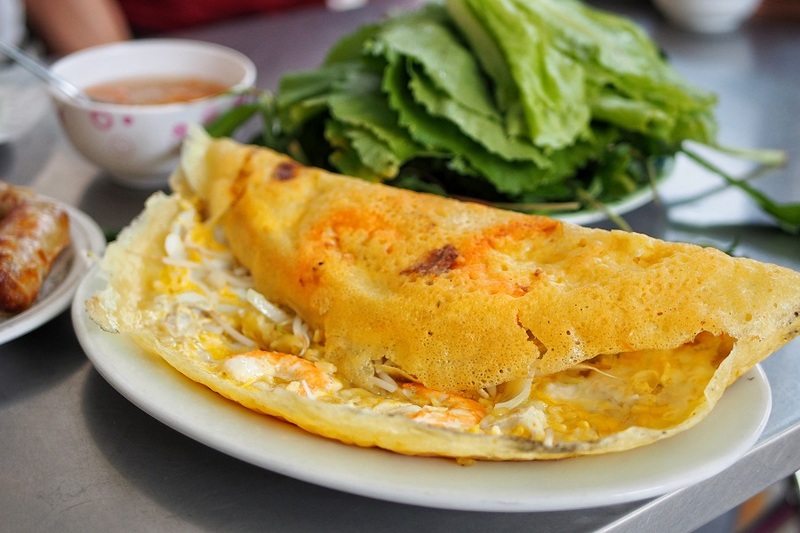 Did a google search, and this happened to be one the famous Banh Xeo in Ho Chi Minh. The Banh Xeo (VND 80k, SGD $4.80) was served together with tons of greens, and I was initially sceptical on how healthy the combination would taste. 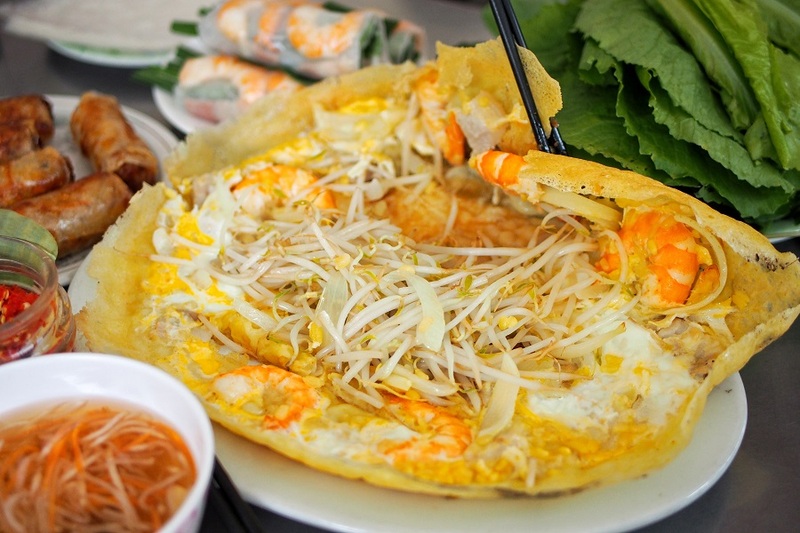 Despite the language barrier, the friendly staff then patiently guided me on the “correct way” to consume Banh Xeo. 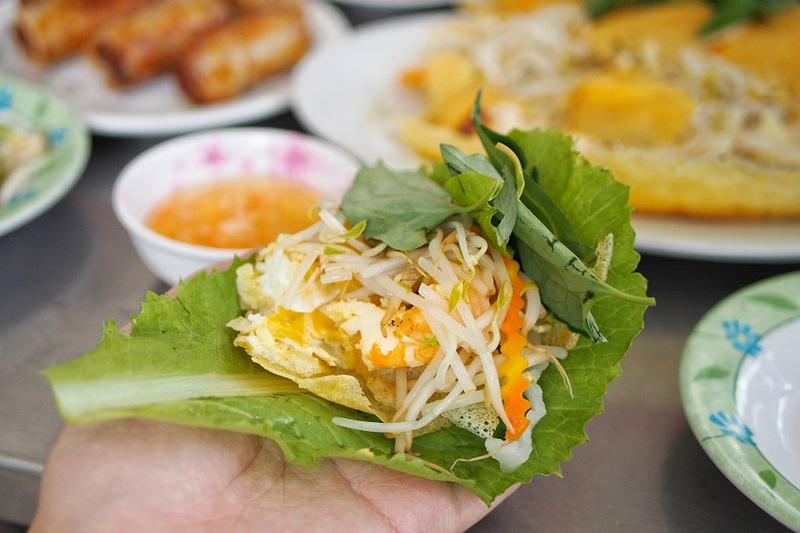 Using leafy greens as base, you would wrap the crepe together with some shrimp, pork belly, bean sprouts and mint leaves, then dip into the fish sauce chilli before consuming. The chewy texture of the crepe felt similar to some Korean Pancake but thinner, and had refreshing crunch from the bean sprouts. 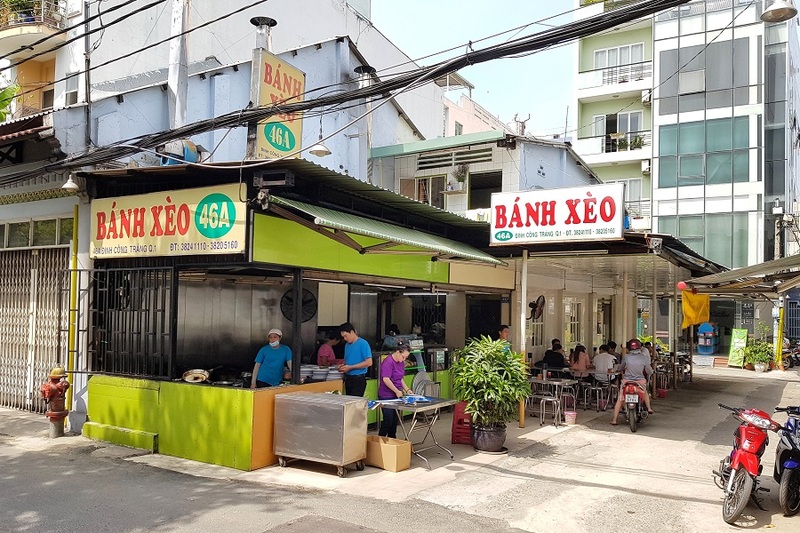 While they specialize in Banh Xeo, the shop also serves up a comprehensive menu of Vietnamese dishes such as Rice Vermicelli dishes, Seafood fritters and Barbequed Meat. 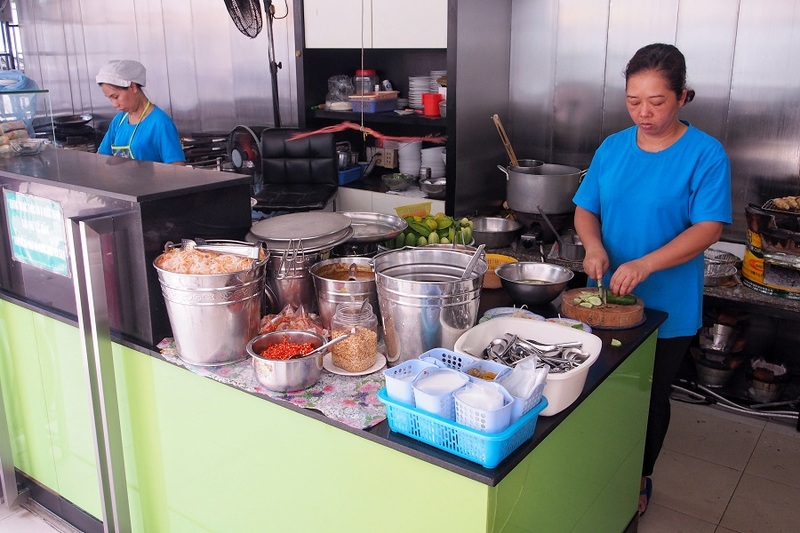 These two side dishes are so common that it is almost available at every food stall. I tried from different places and found them generally consistent in taste and flavor. 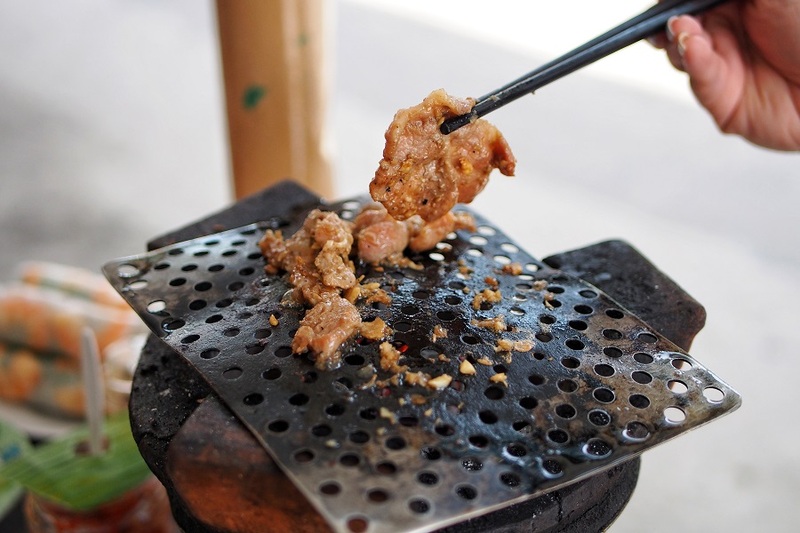 Feeling that I could have more, I also went for the Heo Nuong Vi (Barbecue Pork) (VND 100k, SGD $6) which was served marinated with soy sauce and garlic then grilled over charcoal flame for the extra smoky aroma. 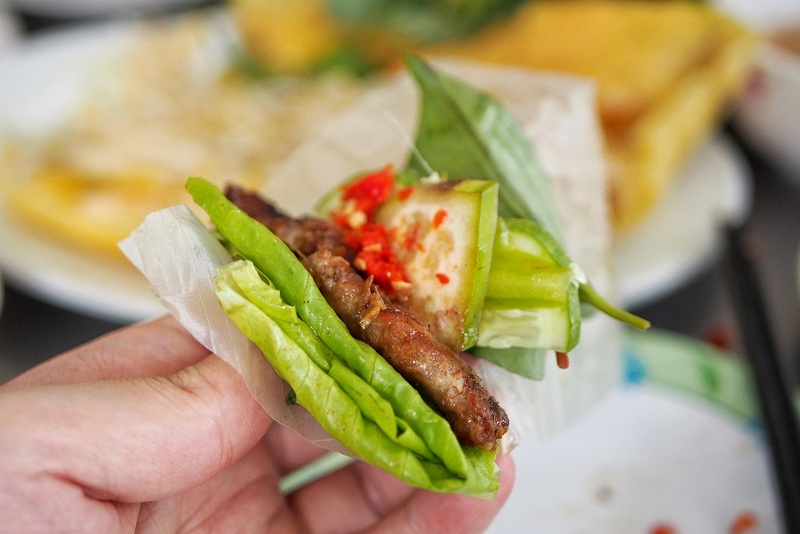 The staff also then urged our table to consume the grilled meat by wrapping together with rice paper and some other greens. Somewhat similar to how we usually eat Korean barbeque. 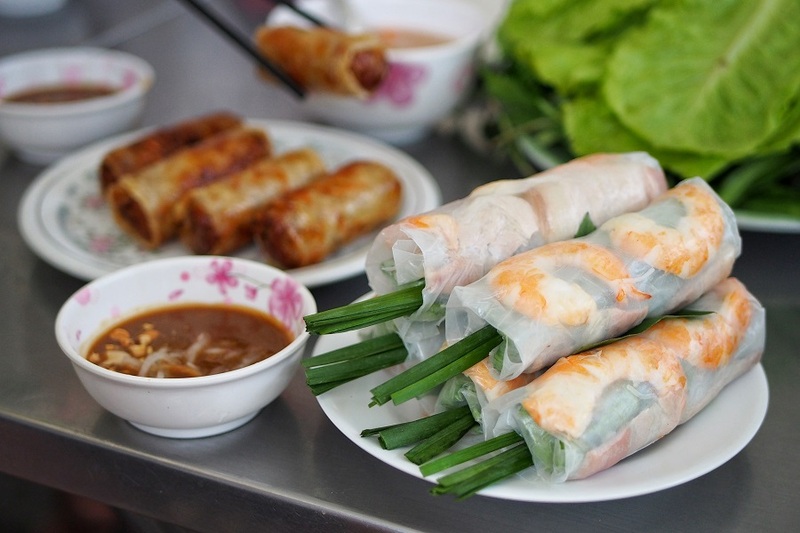 I observed a slight resemblance of Vietnam dining habits to Korean ie, the usage of leafy greens in food and wrapping them before consuming, which probably explains us coming across many Korean tourists as well as expatriates. Some may find the stall slightly touristy as the cooking area and dining environment was generally kept clean and appealed more to foreigners. Menu was also tourist-friendly with English and Japanese translation. Nevertheless, I was still satisfied with their Banh Xeo and left with a happy tummy.